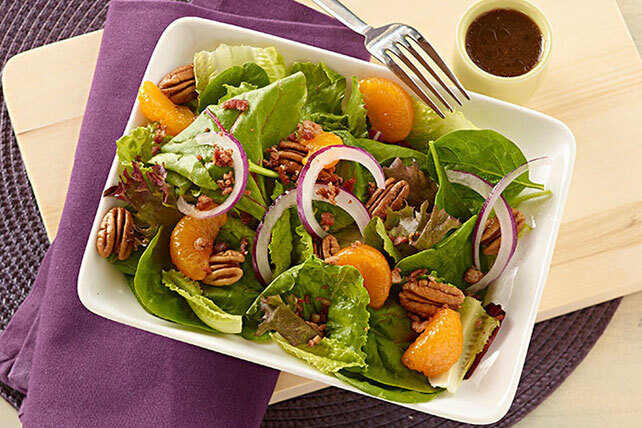 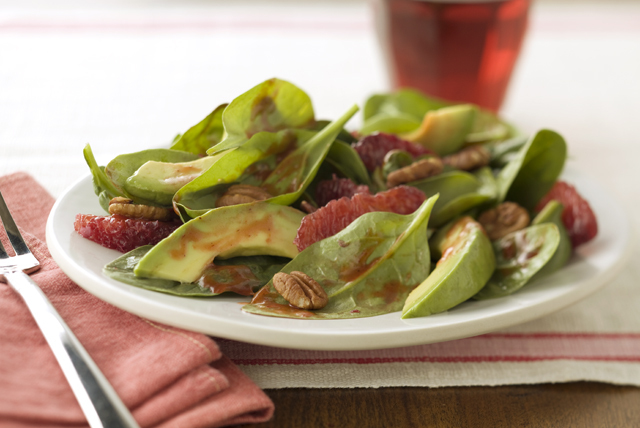 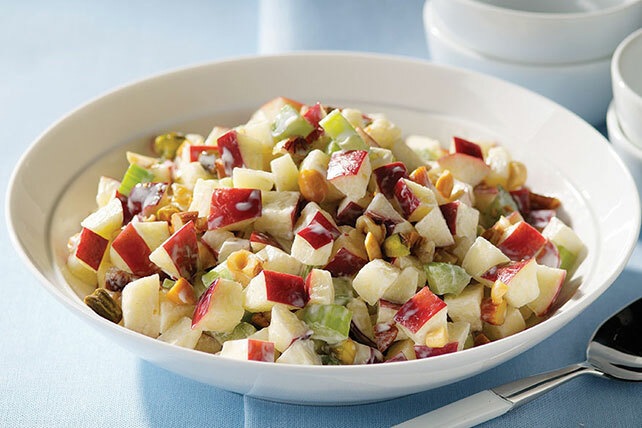 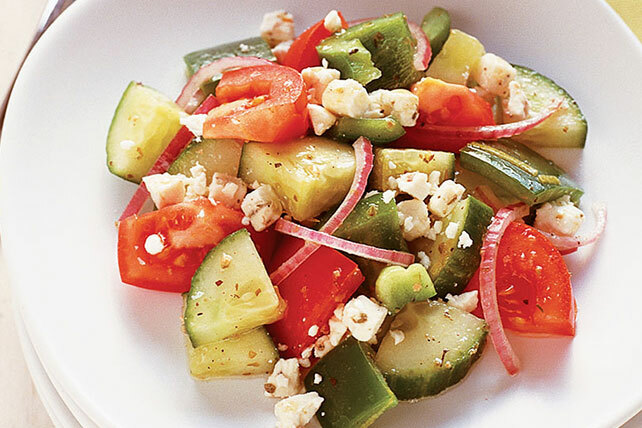 Make a delicious fresh salad in no time with these Easy Salad Recipes! 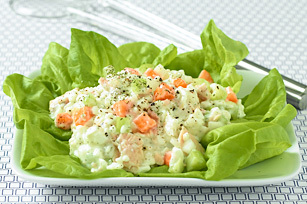 All of these recipes can be made in less than 20 minutes and act as delicious side or tasty dishes all their own. 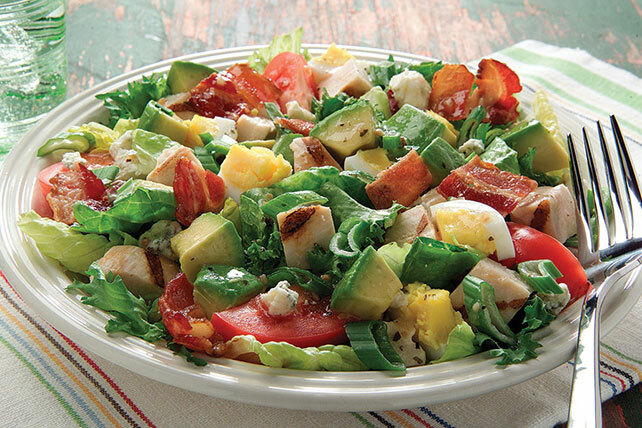 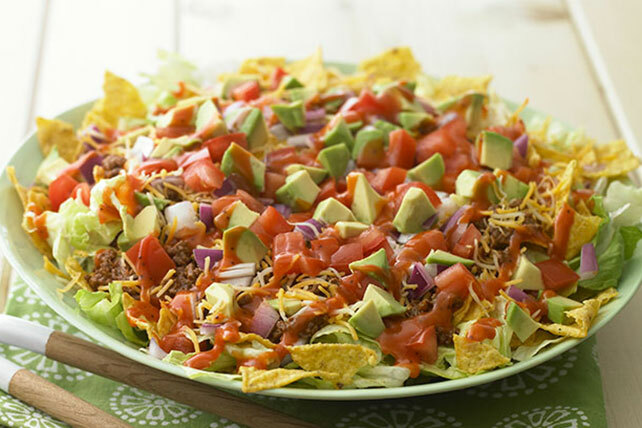 The Tex-Mex Chopped Salad adds avocado and a few toppings to simple greens for a quick Southwestern salad. 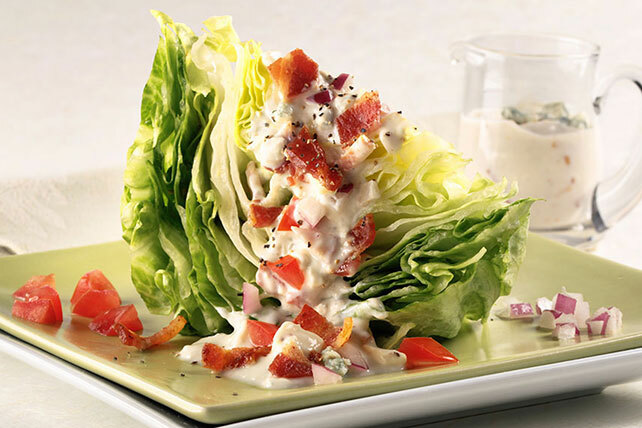 Easiest of all might be New-Way Wedge Salad which takes a wedge of lettuce, and simply adds bacon, feta, onions and dressing. 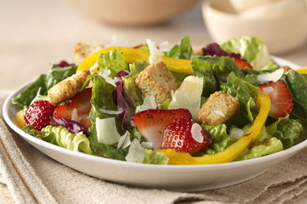 Other easy options include the Feta Cheese Mediterranean Salad (15 minutes to make) and Berry, Mango and Spinach Salad (just 10) which will have you enjoying salad in no time.